Salah retiring over Chechen leader meeting? 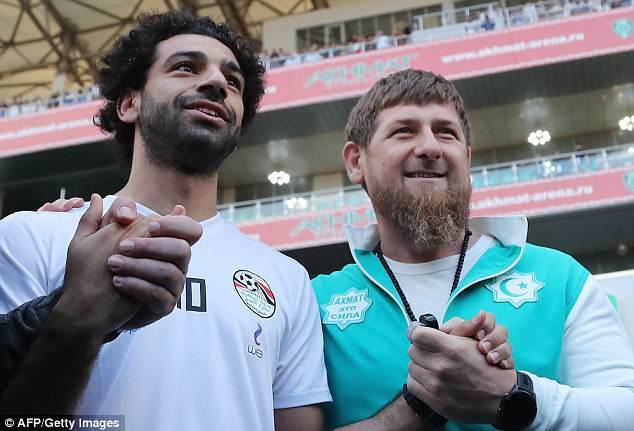 Mohamed Salah is considering retiring from Egypt duty following the controversy surrounding him posing for photographs with Chechen leader Ramzan Kadyrov. Salah was also granted honorary citizenship of Chechnya by Kadyrov, a ruler widely accused of human rights violations, on Saturday. 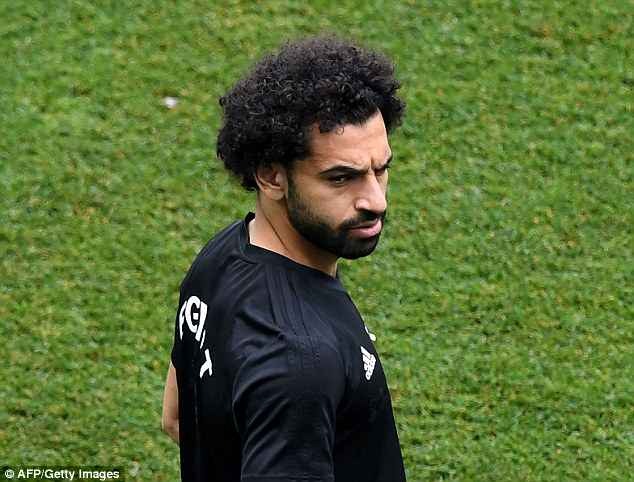 Sportsmail understands that the Liverpool forward believes he has been exploited and is therefore considering quitting the Egypt national team. Egypt’s squad have been training in the Russian republic’s capital, Grozny, during the World Cup. He handed Salah a decree declaring him a citizen at a dinner in honour of the Egypt team ahead of their departure for Volgograd, where they will play Saudi Arabia in their final group match on Monday. 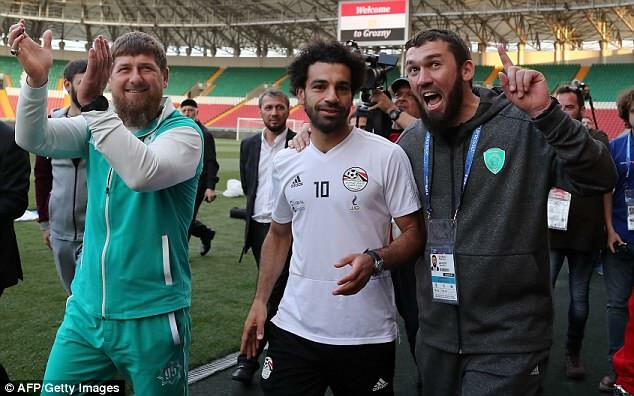 ‘Mohamed Salah thanked us for the surprisingly warm and good reception, excellent attitude to the team, excellent living conditions and training,’ Kadyrov posted on Russian social network site VK . Friday night’s banquet was held at Kadyrov’s presidential palace in Grozny. The Chechen leader posed for pictures with Salah while pinning a medal on his chest. In his social media post, Kadyrov said he wants Egypt to return to Chechnya after the World Cup for a friendly against local club Akhmat Grozny – named after his father, who was assassinated in 2004. Kadyrov’s rule has been marred by reports of extrajudicial killings and torture in the republic which saw two separatist wars. Recently, he came under pressure when reports surfaced of a broad crackdown on homosexual people. He insists there are no gay people in the region. Egyptian FA board member Essam Abdel Fattah has responded to the claims that Salah is considering his international football future. ‘I don’t understand this. We’re guests in this men’s land and he invited us for a dinner. We can’t refuse something like that and this is very normal.